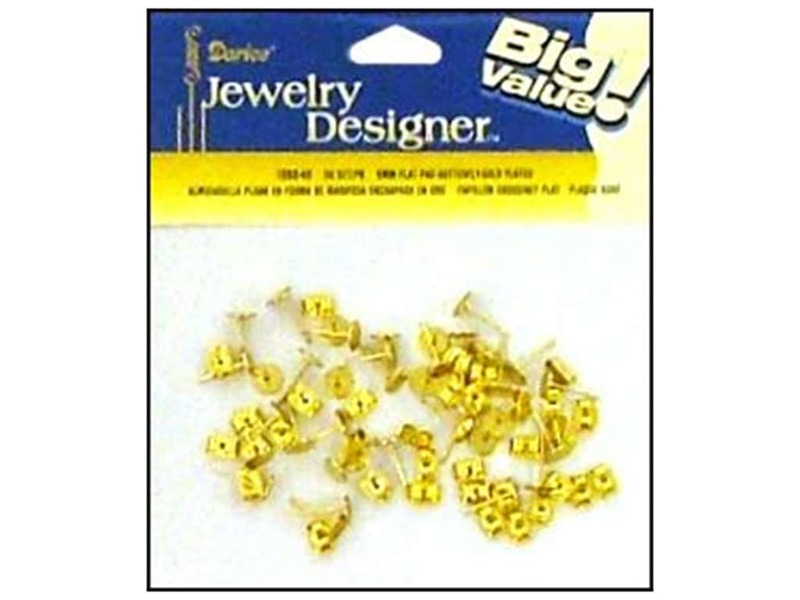 Description: Darice Flat Pad Earring Posts are the perfect base for making your own earrings. Simply glue cabochons, flat-back flowers, beads, and more to the pad to make custom earrings. Package includes 36 - 3/16 inch (6 mm) flat pad earring posts and 36 butterfly clutches. Gold Plated.